JOIN Barb and John as they discuss some of the trending topics this week, including healthcare and what happens now after the Mueller Report? Joining the show during the second hour is author and Co-Founder of WORK THE FUTURE! TODAY, Whitney Vosburgh. Whitney will be discussing his and co-author Charles E. Grantham’s book, WTF! WORK THE FUTURE TODAY: Finding Your Path to Purpose, Passion, and Profit. Isn’t it time we brought more wisdom and purpose into our work and personal lives? In response to the growing realization that the “profit first” model of doing business is becoming obsolete, authors Whitney Vosburgh and Charlie Grantham provide a systemic approach to work and the art of doing business and being alive in the 21st century. Drawing on their decades of leadership experience in consulting, academia, and research in the fields of marketing, organizational design, and R&D, Vosburgh and Grantham tell us that the people, organizations, and systems most capable of changing in this ever-changing world are the ones that will survive and thrive. In addition, they must lead with purpose and value. Vosburgh and Grantham offer a new approach that responds to the need of millions looking for greater meaning in their work. Based on their vast experience, which ranges from Fortune 20 companies to think tanks to Silicon Valley startups, the authors assert that the world needs a new Operating System–and a new approach to the definition of work itself–because the old one is obsolete … crashing more and more. What’s needed now is a new Global Purpose System to raise us from the old bottom line to the new–and in these two transformational books, they share this uplifting vision in great details. 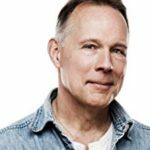 In a radical shift of the way we look at the very nature of work and life, Vosburgh will discuss the way across the chasm that separates the old story–the “profit first” model that has led to excessive exploitation of natural resources, and of our fellow human beings–to a new, empowering future is to embrace the new story. It recognizes that we are all looking for purpose and meaning in our work and in our lives. After hundreds of years of approaching business in the same way–putting an emphasis on materialism and maximizing returns for shareholders–there is now an evolutionary shift underway as millions of stakeholders seek to make a lasting and positive impact in our communities and in the world. Whitney Vosburgh is Co-founder of WORK THE FUTURE! TODAY, a social venture that offers vision, leadership, and solutions for maximizing personal, organizational, and societal potential, and Co-founder of Brand New Purpose, a brand transformation consultancy that creates purpose-built, value-driven opportunities. He graduated with an M.A. in Religious Leadership for Social Change from Graduate Theological Union, and with a B.F.A. from Parsons School of Design in New York City. His expertise on the Future of Work has been featured in four books, including a bestseller by Dan Pink. When Whitney is not focusing on business consulting and writing, he can be found making art, and his work has been featured in exhibitions throughout the world. For more information, visit https://www.workthefuture.today.